what do you do when it’s almost november but it is still nearly 80 degrees outside? first, you do a happy dance, because that’s awesome. then, you come up with a recipe that combines autumn flavors with the lightness of a summer dessert. 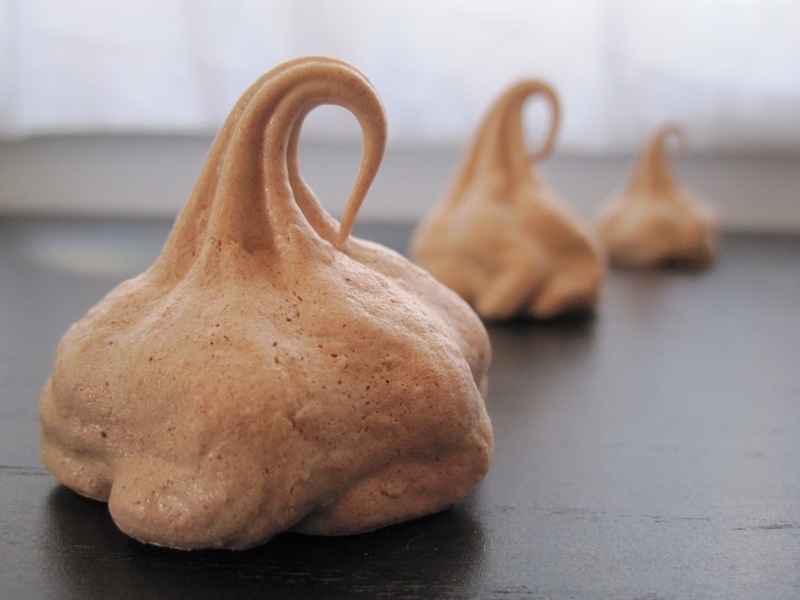 + voila, spiced cocoa meringues are born! 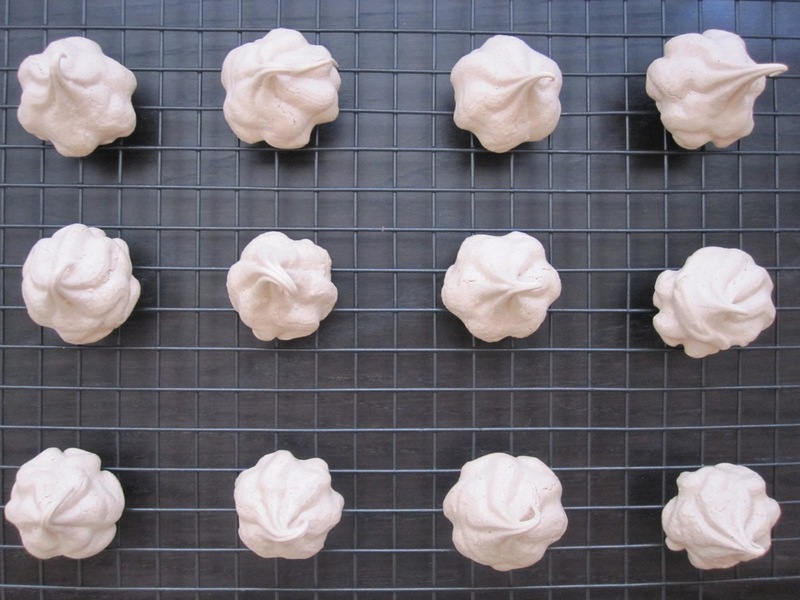 meringues are super airy cookies, primarily made of heavily beaten egg whites + sugar. after being baked at a low heat, their texture is crisp on the outside, slightly soft in the inside, + melt-in-your-mouth. you can create wonderfully interesting flavors with them, + still retain their lightness. for the flavors in these particular meringues, i simply looked in my spice cabinet to see what would fit the autumn mood. i used many of the same flavors as i did with my pumpkin spice latte, then added a pinch of chipotle chili powder to add some interest. these turned out spectacularly – they have a ton of depth for such a light little cookie + present beautifully. they are spiced just enough to remind you that it is fall, but are anything but overpowering. if you’re looking for a delicious sweet to bring to a halloween party this weekend, look no further. preheat oven to 200°F. line 2 heavy large baking sheets with foil. sift first 4 ingredients (+ the optional chipotle powder) into a medium bowl. 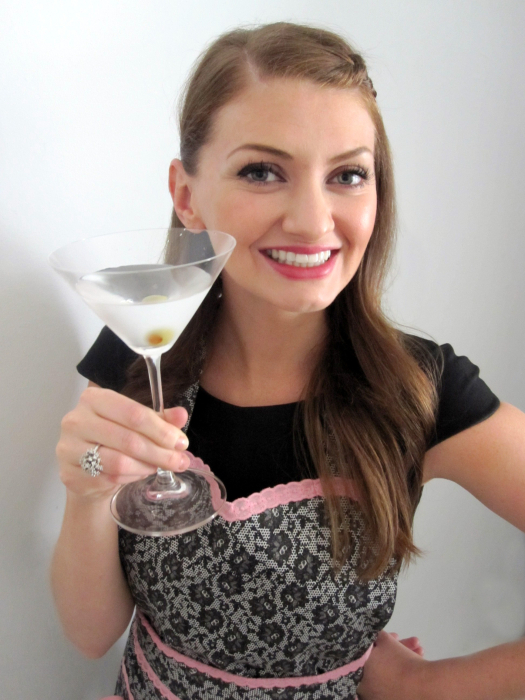 in a large bowl, combine the egg whites + cream of tartar, + using electric mixer, beat until soft peaks form. add 2 tablespoons sugar + beat whites until firm and glossy. beat in remaining sugar 1 tablespoon at a time, beating well after each addition. continue until whites are very thick + stiff peaks form, about 3 minutes. fold in the spice mixture in 2 additions. working in batches, transfer meringue to a pastry bag fitted with a large star tip, + squeeze 1” wide x 1” tall stars onto baking sheet. alternately, you can simply drop heaping tablespoons of meringue if you do not have a pastry bag. bake for about 2 hours, until dry + crisp, but not brown, reversing baking sheets halfway.